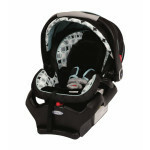 If you are looking for infant car seats, these two options are a great way to start. We looked at the following four categories to provide you with important information: Weight restriction, safety features, average consumer rating and parent-conscience features. The weight restrictions for the Baby Trend Flex Loc starts as low as 5 lbs. and goes up to the maximum weight of 30 lbs. 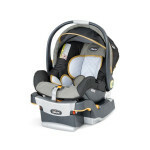 The weight restrictions for the Chicco Keyfit starts at a pound lower, with the minimum weight being set at 4 lbs. The maximum weight restriction is the same as the Baby Trend Flex Loc, set at 30 lbs. These two models are infant car seats, so they’re carrying new born bundles of joy, and often prompt parents to look closely at the safety features. The Baby Trend Flex Loc takes safety seriously. This model comes equipped with a five-point harness system that allows for one-hand adjustments and a push-button release. 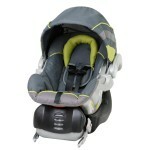 In addition, the car seat is made with energy-absorbing foam to help for side impact protection for the head. The Chicco Keyfit also puts the same amount of effort into safety for your little one. This model has energy-absorbing foam and a removable insert for smaller infants. It also comes with a five-point harness. The Baby Trend Flex Loc receives a good rating of 4.3 out of five stars by the average consumer. Some of the positive remarks are that the seat is easy to install and that it is narrow, allowing more people to sit in the backseat with the car seat installed. The Chicco Keyfit receives a higher average consumer rating of 4.7 out of five stars. 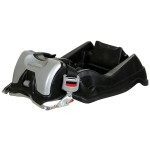 There are many consumer reviews stating that this car seat saved their child during a car accident. The only negative remark about this car seat is that, to put down the handle, you have to push a button on both sides of the handle. Many consumers said that it is rare that a parent has both hands available to do this. In addition to the safety features listed above, these two models have some other great, parent-conscience features. While these two options are close, the overall product recommendation goes to the Baby Trend Flex Loc. There are more safety features in this model, and the additional protection boot comes in handy with younger children in colder climates. CLICK HERE TO GET BABY TREND FLEX LOC TODAY WITH FREE SHIPPING!